After 10 years, Maui Thing will close its bright, sherbet orange door on Market Street for good. The store’s last day open on 7 N. Market Street will be on Friday, March 1 as they celebrate with Uncle Willie K at Wailuku First Friday. 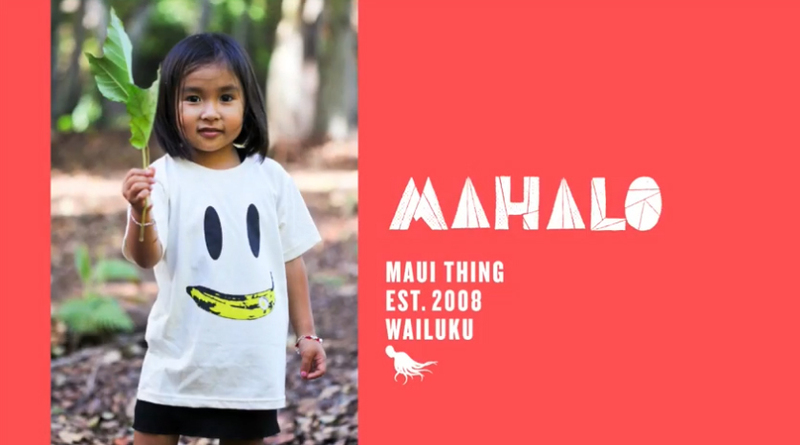 Their online store, mauithing.com  will continue to stock favorites like the Wailuku Bridge tee for the guys and the Opihi tank for women. The Maui Boy and Maui Girl onesies will still be a constant as well as a few other locally made gift items. 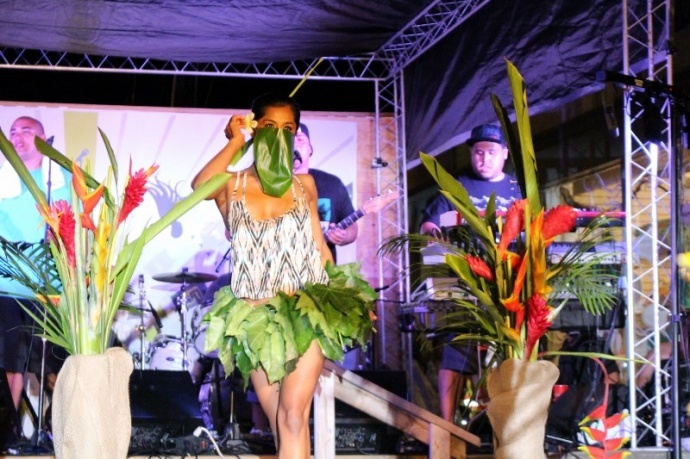 After selling Maui-inspired merchandise online and under a 10×10’ tent at the inaugural First Friday event, Saedene Ota couldn’t resist opening a store in her hometown. “It was a dream to have a little local shop in Wailuku and we did it! We wanted our designs to be different, inspired by good,” reminisces Saedene Ota. The store opened on July 4, 2008, during the recession. 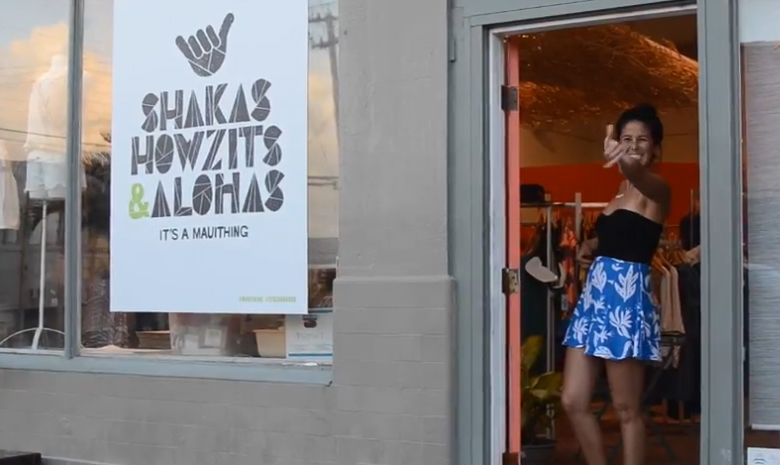 With a lot of heart, help of friends and family and designs inspired by “good things on Maui,” the brand emerged as a heʻe whose body is the shape of the island. The slogan, “Stuck on Good” has rung true throughout the business whether communicated through the company’s apparel or though their Second Saturday Art classes they have offered free to keiki since the store opened. The little store on Market Street has done some big things in the past decade. 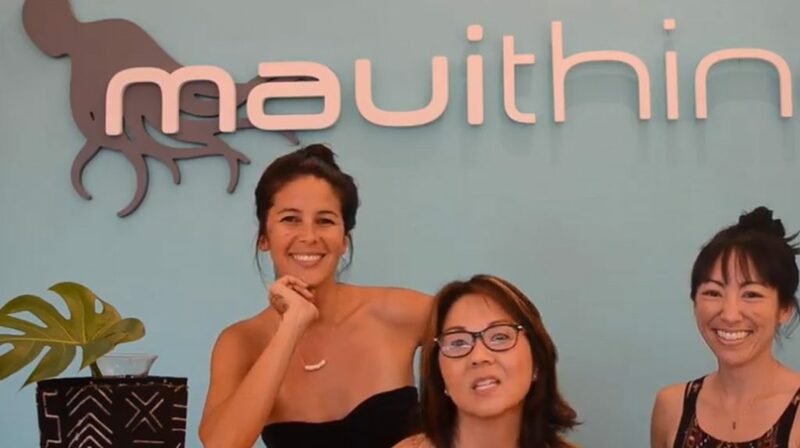 From free yoga classes to coordination of the Wailuku First Friday event for numerous years, Maui Thing has left their mark on the historic town. 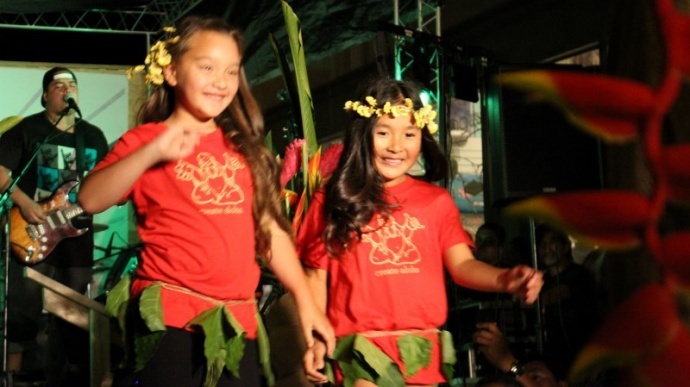 The crew has provided over 250 hours of free arts and crafts classes for keiki, volunteered a handful of years in steering the Wailuku Community Association and brought The Green to Market Street for their anniversary fashion show in 2013, packing the town with over 5,000 people. With so much love for the town, the “stuck on good” crew will always have their heart at 7 N. Market Street. It’s not goodbye Wailuku Town, it’s aloha – a hui hou! 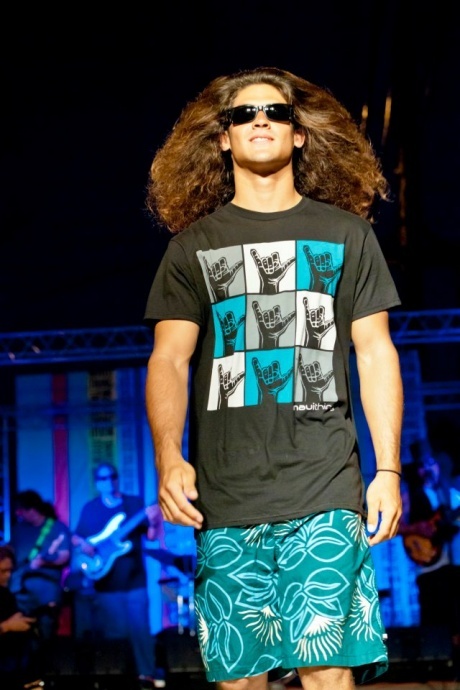 Maui Thing, 2013 5th Anniversary fashion show. Photo by Wendy Osher. Lesley Cummings, Ashley Takitani Leahey and Saedene Ota. PC: Maui Thing. 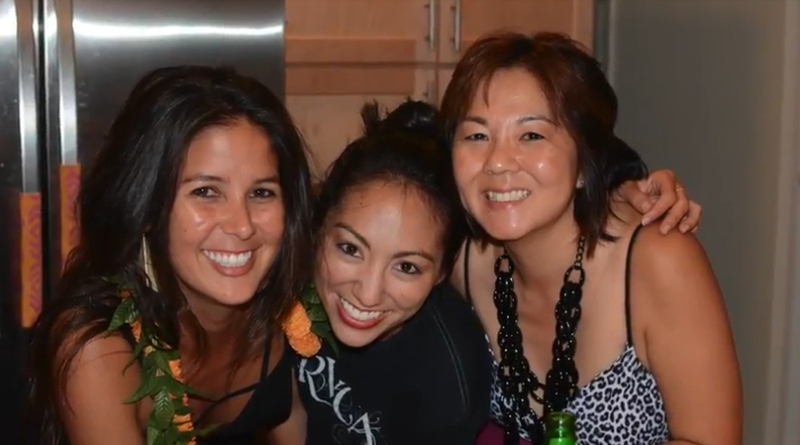 Lesley Cummings, Saedene Ota and Ashley Takitani Leahey. PC: Maui Thing.